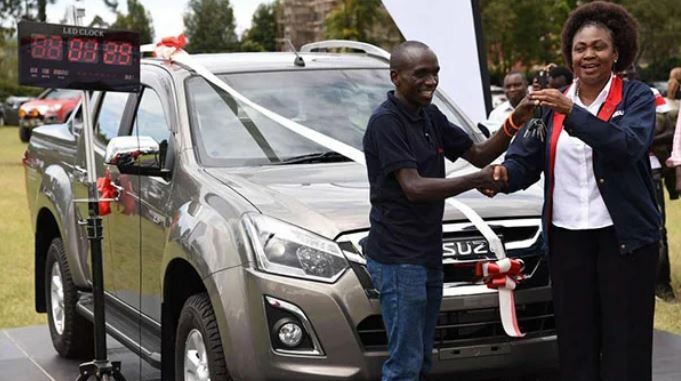 Marathon World Record holder Eliud Kipchoge is the owner of a brand new Isuzu D-Max double cab worth Sh5.9 million. 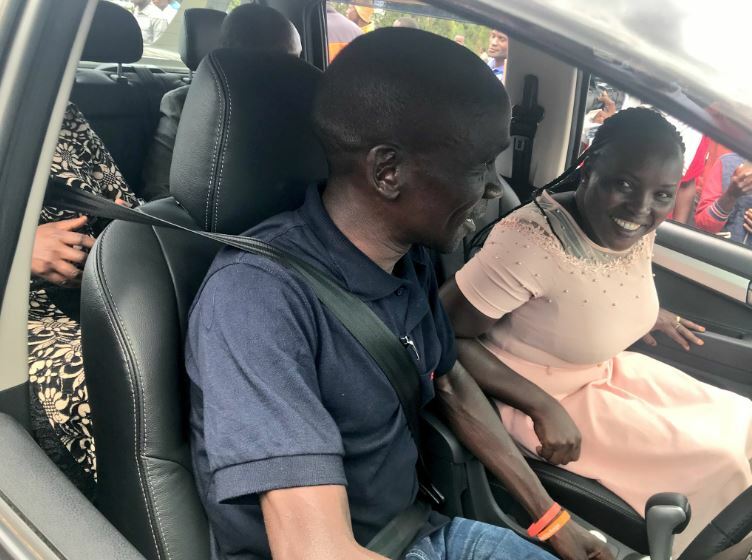 The Olympic marathon champion was gifted the car on Thursday by Isuzu East Africa at Sports Club in Eldoret on Thursday. The automaker had promised the athlete a free vehicle if he smashed the marathon record of 2:02:57 that was previously held by Kenya’s Dennis Kimetto. 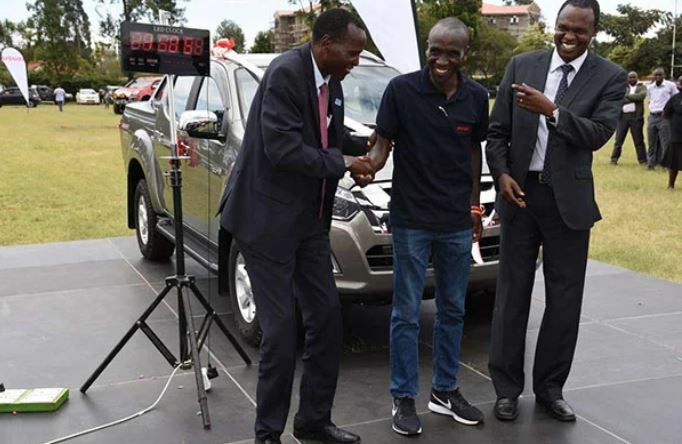 During the ceremony, Isuzu Managing Director Rita Kavashe handed over the keys to Kipchoge at exactly 2.01:39 pm to coincide with the new World Record. “Partnering with Isuzu made my training easier and going to Berlin Marathon, I had to show that I had prepared well for a world record. The company gave me a third leg and that is why I was able to lower the record,” said Kipchoge. The 33-year old said that he will be taking time off to recover before he starts preparations for next season. “I will be taking a break for now as I look forward to start my build-up training for next season. Winning in London and Berlin was not an easy task, but I’m happy I’m done with the season and I have to be fit enough to continue running in the next season,” said Kipchoge. “I still believe the marathon record can be lowered in Berlin given that we have more than 5,000 athletes in Kenya and they are capable of breaking it. Records are there to be broken,” he added. Isuzu Managing Director Rita Kavashe said that they are happy to be associated with the world record holder and will strive to nurture more talents. “Eliud’s character, his resilience, his endurance and his performance is aligned with our core values as a company. We are extremely proud to be associated with him,” she said. She called on other corporates to come in and promote sports and athletics.